Maclagan was born in Edinburgh, son of a doctor, and educated at Royal High School. He joined the Indian Army for five years before returning in 1852 to Peterhouse College in Cambridge. 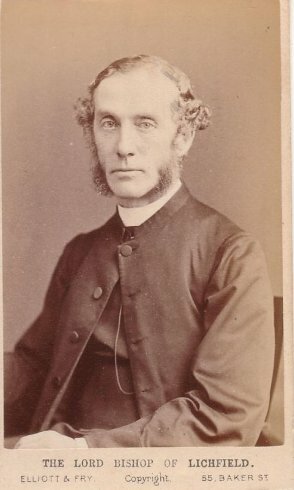 In 1856 he graduated in mathematics and was ordained as a Deacon, 1869 Rector of Newington, 1875 Vicar of Kensington, 1878 Bishop of Lichfield, and 1891 Archbishop of York. Maclagan resigned from the English church hierarchy in 1908. Maclagan's son Sir Eric Robert Dalrymple Maclagan (1879 - 1951) was Director of the Victoria and Albert Museum in London. Photo from a Carte de Visite by Elliott & Fry, 55 Baker Street, Portman square, London, also Lomax, Bookseller, Lichfield. Faintly inscribed in pencil "Bp McClaghan". 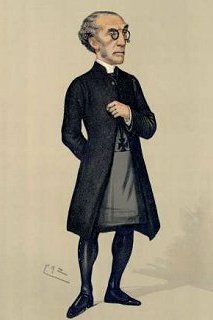 The cartoon is from Vanity Fair 1891.